You need to pull out your readers out of contemplation and get them on your mailing list. Creating great killer subjects and content for your site simply isn’t enough nowadays days. The only way to get these visitors back to your site time and time again is through email newsletters. This is where popup calls-to-action come in. However, while the concept of setting up a mailing list seems easy – it’s not going to work it’s magic without some extra effort trying to entice readers to give up their email address. Whilest these popups may seem dull or annoying, they are usually viewed only once by a visitor every several days. 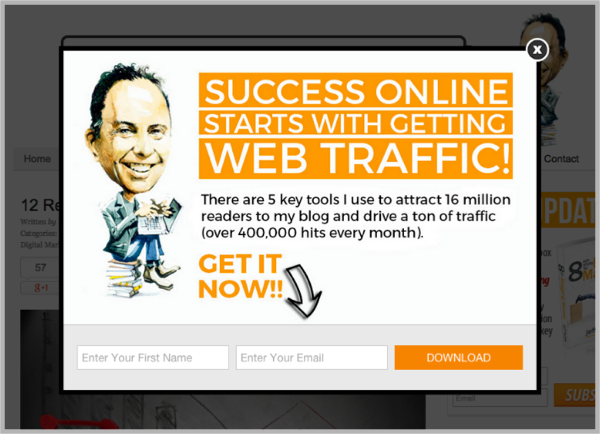 What does matter is that these types of popup calls-to-action work extremely well and are adding millions of email addresses to blog mailing lists every single day! It’s not just about creating a popup and throwing it on your site, it’s about caring about your audience and giving them value in the process. Going off these same principles, I wanted to inspire you to not only start running similar popup calls-to-action on your own site, but also to offer a rotation of different calls-to-action to see which conhave best. And remenber, get your newsletters subscritions and use then on emailing champain, especially using CRM.